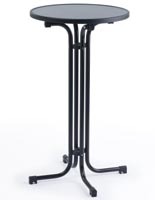 This Event Cocktail Table Makes A Great Pub-Height Party Rental Fixture! 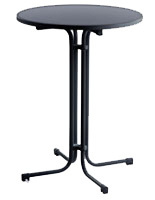 This Portable Bar Furniture Can Handle Everyday Use In A Restaurant Or Function As An Occasional Table For Events! 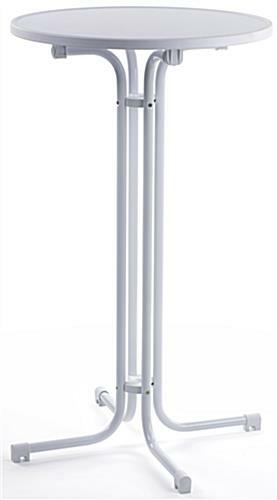 Versatile bar or party furniture is a taller-than-usual highboy-style fixture. Neutral white finish and folding design work perfectly with cloth or spandex tablecoverings. 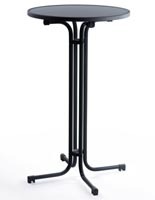 Lightweight portable pub stand easily accommodates standing or sitting patrons. 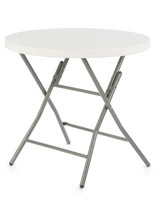 This event cocktail table has a white MDF top that is 27-1/2" diameter that snaps securely to the 47-3/8" high folding base. 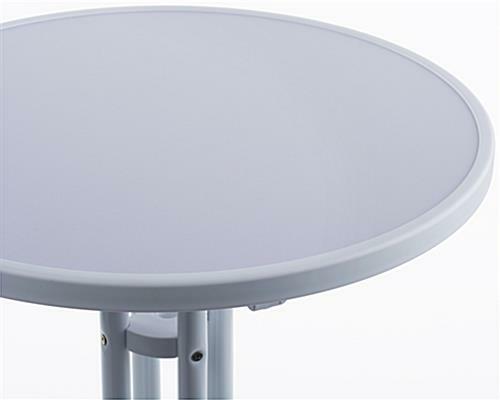 This white folding fixture is a superior choice for either everyday use in restaurants or as portable party furniture for special event or rental use. 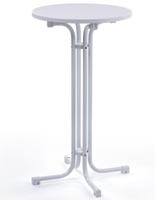 This pub-height stand, highboy-style event cocktail table complements any style of establishment décor and is especially effective with either regular cloth covers or "scuba" spandex tablecloths for a modern appearance. This snap-together party rental accessory folds flat for storage and is lightweight and easily portable. 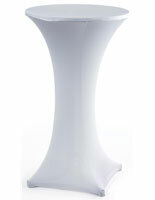 This white finish event cocktail table, also known as an extra-tall highboy, is in stock for same day shipping as either a combination set with tablecloth or as a stand alone unit (see "related items" for details). 29.8" x 47.4" x 29.8"